Chiffon Bridal Fabric is a plain-woven, lightweight material of sheer appearance and is guaranteed to make you feel glamorous and elegant on your special day. Chiffon is often favoured as a bridal fabric due to it's floaty, ethereal appearance and is often used as a layering fabric to add volume to your creation and is often used alongside our satin and taffeta fabrics. Chiffon Wedding Dress Fabric is a beautiful, floaty material which is useful for adding dimensions and layers to a dress without making it look over-the-top. 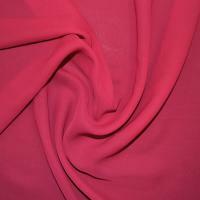 We stock many different varities of Chiffon Bridal Fabric, from the almost silk-like cationic chiffon to the heavier georgette. 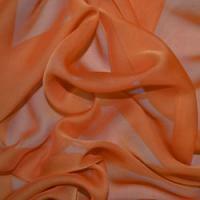 These Chiffon Bridal Fabrics are perfect to use as sleeves on your bridal gown if you do not wish to use lace. 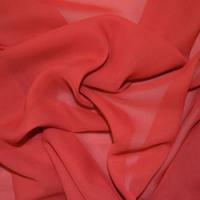 Our range of Chiffon Bridal Fabrics are designed to compliment our other bridal fabrics such as Satin Fabric and taffeta. Browse our stunning range of Chiffon Bridal Fabrics including Extra Wide Chiffon, iridescent two-tone cationic chiffon and soft georgette fabric.